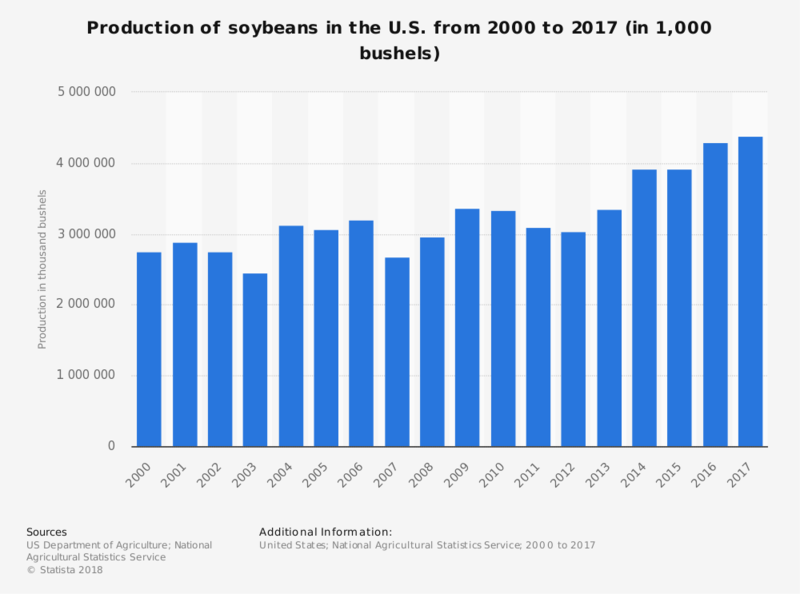 The U.S. might be the global leader in soybean production, providing more than 100 million tons of soya products to the market each year, but it is China which started the cultivation of this legume. Evidence shows that soybeans were first cultivated more than 6,000 years ago, which would make it one of the world’s first domesticated crops. Soya is popular because of its nutritional content profile. It contains twice as much protein as pork, triple the protein of eggs, and 12 times the protein found in milk. When consumed dry, it contains about 18% unsaturated fat. By 2050, the soybean industry is expected to achieve explosive growth. Global production levels are expected to reach 514 million tons. That would be nearly double what the industry was able to produce in 2012. 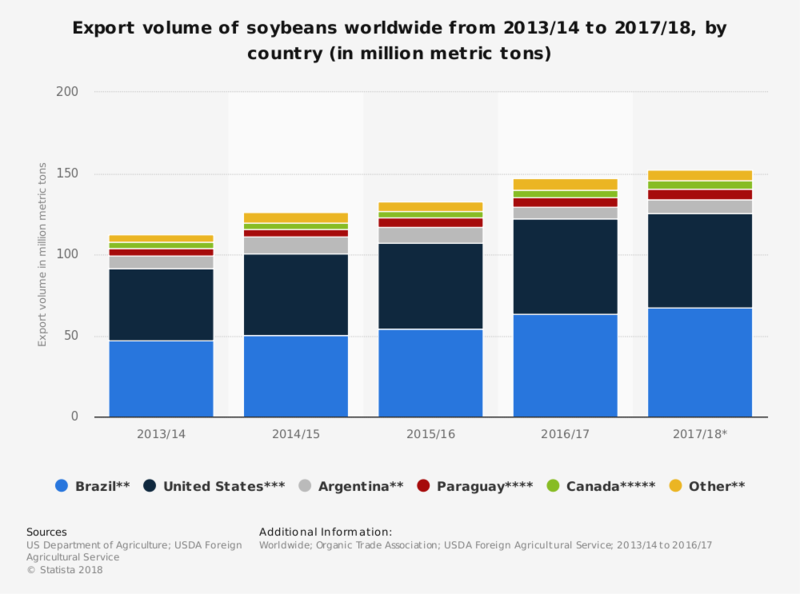 As an increase in food production is expected, along with a higher demand for biofuels, the soya industry will continue to produce a viable and popular product. 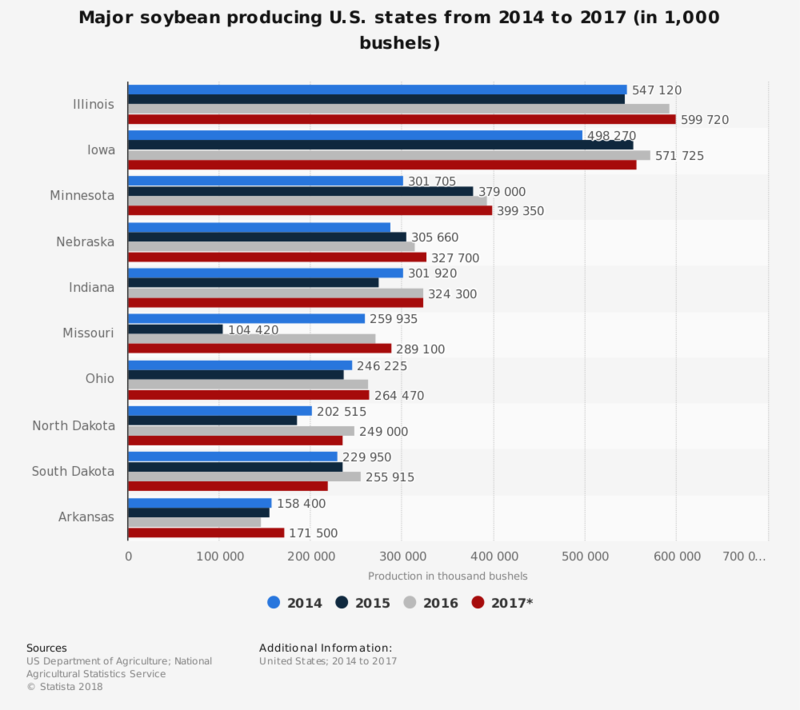 What we will see in the upcoming years is an evolution of the trend to produce soybeans outside of the United States. New cropland development in Brazil, as well as most of South America, will help to meet the growing demand levels. In the next 10 years, Brazil may very well take over the top production spot for the global market. Most of the growth the industry will be able to achieve is expected to come from Asia. Exports to the region are expected to triple by the end of the next 5-year period, achieving totals above 200 million metric tons for the first time.